In 1998, in a pastry shop of Minori, a talented confectioner, he realized for the first time a cake that has entered in a short time in the heart and in the tastes of all of us, we are talking about Salvatore De Riso and his revolutionary ricotta and pear cake . The popularity of this dessert, from its first realization, knows no shadows. From the very beginning, even the most refined palates have captured the potential of a dessert destined to enter the history of Italian confectionery. Soon, the recipe for this cake has been reproduced and revisited in many versions all really tasty, even if the traditional one is still the most loved. So far so clear, recipe, fatherhood, year of implementation, virtually no mystery. Or maybe yes. The story of this sweet hovers in fact an ancient legend according to which his birth dates back to the Middle Ages, by a chef from the Amalfi court, a bit clumsy, who during one of his preparations dropped some small pieces of pear inside the ricotta unwittingly creating a wonderful combination. The legend in question is really imaginative and to tell the truth, not very credible, but it is also true that the story of a dessert must have a bit of narration and mystery, probably to remain in the memory of people. 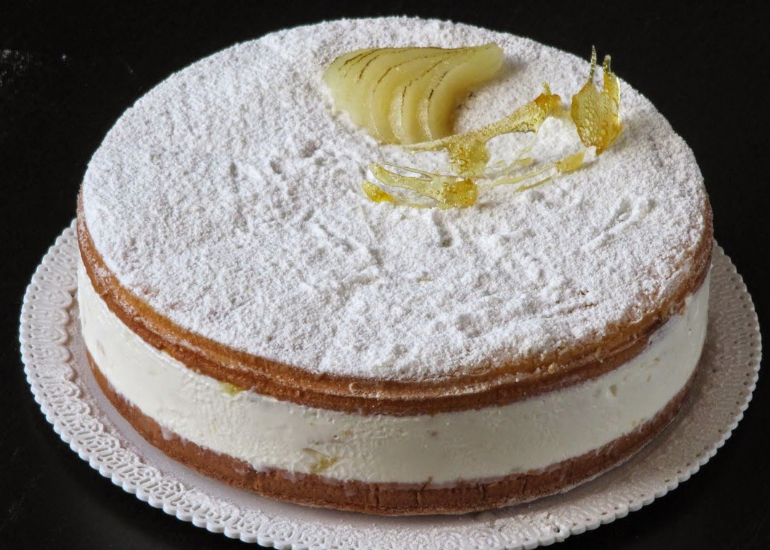 The ricotta and pear cake, besides distinguishing itself for a truly elegant presentation, owes its success to the refined taste dictated by the choice of selected ingredients that tell the delicacies of our land like the hazelnuts of Giffoni, the ricotta and the pears of Agerola.